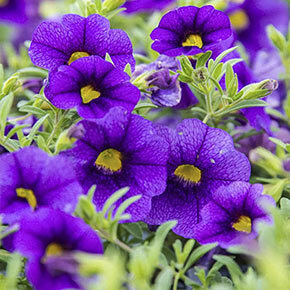 Calibrachoa are excellent choices for mixed hanging baskets. 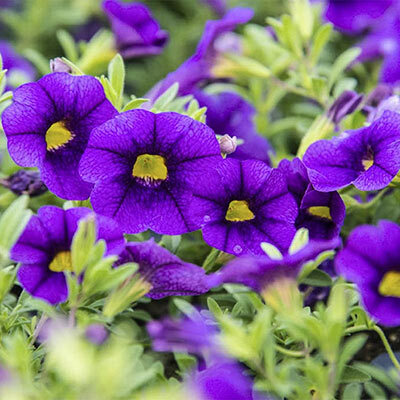 For a truly brilliant display, we recommend pairing Hawaiian Luau Purple Calibrachoa with Hawaiian Red Calibrachoa and Hawaiian Orange Calibrachoa. The luscious tropical mix will provide lots of colorful blooms all summer long! 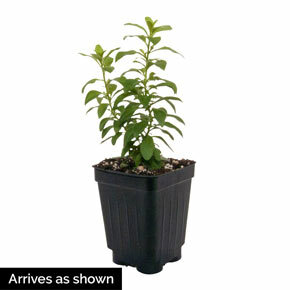 When you purchase annuals like calibrachoa from Spring Hill, they'll be delivered to you at the proper planting time. No more searching garden centers.